Imagine receiving a world-class education in the world’s most exciting city, New York, while experiencing the comforts of a serene, beautiful campus. hustle and bustle of Manhattan. 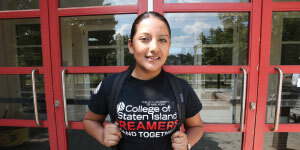 SIZE OF CAMPUS: College of Staten Island is 83 picturesque hectares. On-campus housing is available. NUMBER OF STUDENTS: The undergraduate enrollment is 12,485. The international student population is 2%. NUMBER OF FACULTY: 1,164 faculty members; the student-faculty ratio is 26:1. COLLEGES, PROGRAMS, AND DEGREES: College of Staten Island offers a wide range of programs in our School of Business, School of Education, School of Health Sciences, Division of Humanities and Social Sciences, and Division of Science and Technology. GEOGRAPHIC DIVERSITY: International students come from more than 50 countries. INTERNATIONAL STUDENT SERVICES: The Center for Global Engagement provides services for students and scholars from around the world. In addition to processing all required immigration documentation, the Center provides extensive orientation, ongoing advisement, and assistance. FINANCIAL AID: International students may apply for a partial CSI scholarship, which recognizes academic excellence and college or community service. Imagine receiving a world-class education in one of the world’s most exciting cities, New York, while experiencing the comforts of a serene, beautiful campus. College of Staten Island is a senior college within the City University of New York, the nation’s leading urban public university. It offers an unusual opportunity to students: to experience life in New York while studying on a large and picturesque 83-hectare campus that boasts the Great Lawn, athletic fields, sculptures, and sitting areas, all surrounded by mature woodlands. Fourteen buildings house classrooms, laboratories, instructional spaces, study lounges, and offices. At CSI, students will find excellent degree programs, renowned faculty, a vibrant campus life, affordable tuition, cutting-edge technology, and state-of-the-art facilities. • Forbes has ranked CSI 504th on the publication’s “America’s Top Colleges” list based on the direct benefits it provides to its students, such as alumni salary, graduation rate, and satisfaction. The College ranked 179th among public institutions. • CSI has been ranked #134 in “Best Undergraduate Engineering Programs” (ABET accredited, highest Engineering degree offered is a bachelor’s or master’s) by U.S. News & World Report. • CSI has been listed in two of U.S. News & World Report’s 2019 “Best Graduate Schools” rankings for its master’s programs in Nursing and Social Work. • CSI was ranked second in the country on the Fulbright Scholars top-producing list for master’s institutions by the US Department of State’s Bureau of Educational and Cultural Affairs in the 2016–2017 academic year. The College of Staten Island offers a number of honors programs, learning communities, and undergraduate research opportunities. 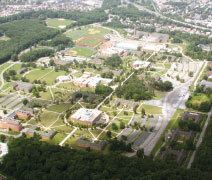 Our programs range from the Macaulay Honors College: University Scholars Program, which provides high-achieving students with a special honors curriculum of innovative and challenging courses during the first and second years of study, to the Verrazano School, a program designed to offer students a unique undergraduate education through academically motivated learning communities. Our faculty members are passionate about their role in the leadership process. They provide students with a rich and structured intellectual opportunity—and they do so with a dazzling array of methodologies. At CSI, our world-class faculty do more than teach. They take a personal interest in students’ development. They mentor them. They partner with them on research projects. They help them shape their professional goals. 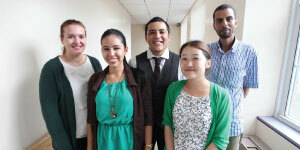 The Center for Global Engagement provides services for students and scholars from around the world. In addition to processing all required immigration documentation, the Center provides extensive orientation, ongoing advisement, and assistance. It also oversees student activities and organizes a variety of on-campus programs throughout the year. Some of those activities include the International Coffee Hours, World on Wednesdays, Immigration 101 Workshops, and International Education Week events. Our residence halls provide students with the convenience of living in the heart of our beautiful campus along with the comfort of living in a fully furnished apartment. Residential students have exclusive access to educational and social community events and on-site residence life staff. The residences also feature exclusive amenities such as our in-residence fitness center, computer center, study lounges, and social lounge. This is where students go to relax, eat, and find out what’s happening around campus. They can choose from a variety of culinary options and enjoy our spacious cafeteria. They can visit the bookstore, the health center, or the study lounge. The Center is also home to the student-run radio station, WSIA FM 88.9, and the College’s more than 50 student clubs and organizations. Our 77,000-sq. ft. athletic center features two gyms, an eight-lane swimming pool, a fully equipped fitness center, and five racquetball courts. Outside, students can compete in tennis, basketball, and handball; work out on a quarter-mile track; and play soccer, baseball, and softball. Our library features modern resources that promote learning in a quiet, comfortable setting. The building houses a study center, a collection of books and journals in the liberal arts and sciences, computer facilities and online services that provide access to resources beyond the library, an instructional facility on information retrieval and information literacy, and media distribution services in support of instruction.